Will a powerful report on human rights violations prompt the international community to act? On Monday, a UN Commission of Inquiry led by former Australian High Court Justice Michael Kirby issued its final report into the human rights situation in North Korea. Both extraordinary and unprecedented, this first comprehensive assessment from the United Nations concluded the North Korean regime has committed crimes against humanity against its own people. In the words of the Commission, “the gravity, scale and nature of these violations reveal a State that does not have any parallel in the contemporary world.” While the conclusion itself was unsurprising – broad evidence of mass atrocities being committed in North Korea have been reported for more than a dozen years – the fact that the United Nations has now said the international community “must accept its responsibility to protect” the citizens of North Korea is sure to test the capacity of a divided international community to respond. But it is the Commission’s clarion call for action which will now draw intense scrutiny. Specifically, the Commission has urged the UN Security Council to refer the situation in North Korea to the International Criminal Court and to impose specific sanctions against those responsible for the commission of crimes against humanity. 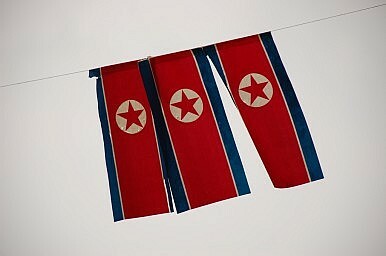 It is widely expected that China, North Korea’s primary defender in the international community, would block such action. That said, however, there is a clear pathway forward to maximize the pressure on China to stand aside and not defend North Korea. First, the UN Human Rights Council will consider the Commission’s report this March. It is essential that the Council endorse the Commission’s report and act on its recommendations to create an entity to continue to gather testimonial evidence and renew the mandate of the special rapporteur who covers North Korea. While China and other states may try to block or defer action, it will be very difficult for Council members to ignore the analysis undertaken by the Commission that it created. Second, the United States, United Kingdom and France must agree to propose placing the human rights situation of North Korea on the Security Council agenda. Historically, all three countries have been hesitant to engage on these issues for fear of driving North Korea from discussions on its nuclear and missile programs. History demonstrates, however, that downplaying human rights concerns hasn’t yielded cooperation from North Korea on these other questions. And with the window of opportunity opened by the Commission’s report, it is critical that action be taken now. The question of merely placing an item on the Security Council’s agenda is not actually subject to the veto but rather only requires nine of the 15 members to agree. Finally, it is essential to start now to place immense pressure on China to stand aside from defending North Korea. In recent years China has been much more hesitant to defend North Korea’s behavior. For example, it has refused to call for contested votes of resolutions directed against North Korea in the General Assembly and Human Rights Council. Of course, having the Security Council act to refer the situation to the International Criminal Court and impose individual sanctions is substantially more serious. Nevertheless, by the sheer quality of the Commission’s report, there are not likely to be many countries eager to stand in defense of this conduct. If China can be isolated from even its usual allies, it tends to be pragmatic, and it will feel immense pressure not to defend North Korea. Under such circumstances, it may be possible to persuade China to abstain from vetoing a substantive resolution. That said, the way forward will be exceptionally difficult. Changing the conduct of the North Korea regime, let alone holding its members to account for the commission of crimes against humanity, will require a Herculean effort. Jared Genser formerly served as pro bono counsel to the Coalition to Stop Crimes Against Humanity in North Korea and testified before the Commission of Inquiry in Washington. All Rohingya in India should have access to a fair procedure through the UN refugee agency.